Did you know that you have a complex, primitive system that control threats to your body concerning your safety and survival? This system has a control center in the brain and other organs throughout the body that respond and send feedback signals back to the control center. This system can perceive actual threats from physical distress like being in an accident and it can also react to learned threats to things like images, sounds and smells. This system is necessary to our survival. But what happens when its on overdrive and the system is constantly signaling stress? The control center in the brain that is surveying the body for threats 24/7 is the amygdala… which are two almond shaped glands on either side of the brain. When a threat is detected a quick response is sent to the hypothalamus, a gland front and center in the brain. The hypothalamus actually just serves as a relay station. It then relays the signal to the pituitary gland. The pituitary gland is a hormone control station- it needs to send the stress signal to a gland or glands that will release a hormone to send the signal to the rest of the body to alter function. The glands I am referring to are the As in the HPA Axis… the adrenal glands! The adrenal glands are 2 tiny little organs that sit on top of your kidneys. They control actions like your blood sugar, blood pressure, and immune system. Maybe you are familiar with their role in the fight or flight mechanism. When we are in actual danger, or think we are, the adrenal glands pump out cortisol which makes our bodies hypervigilant to fight or get away from that danger. Cortisol sharpens our mind, gives us energy, and quickens the chemical reaction for blood sugar to fuel our muscles. We breath faster, our heart rate goes up, and our energy sky rockets. These reaction will continue as long as the adrenal glands are being told to pump cortisol. Historically, most dangers were short lived- think running away from an animal hunting us. So when this system got activated, we pumped cortisol and then once the danger was gone or we were safely out of harm’s way, the chemical process resolved and we went back to normal. Insulin, another hormone pumped out in the fight or flight response, allowed that extra mobilized blood sugar back into your cells, your breathing and heart rates went back to normal, and everything went back to homeostasis. Adrenal fatigue is categorized in four phases which go from alarm phase to an overdrive phase to actual burnout phase where your adrenals cannot produce cortisol. Your mind becomes foggy, your memory dulls, your body is physically exhausted, you gain weight- especially around your middle, your immune system weakens so you catch every little bug that comes around and your mood is always down. Ok, reality check… most of us are under a lot of stress too much of the time. Home life, work life, kids, money troubles, trying to eat healthy, workout, attend meetings… it’s never ending. Most of us are somewhere on the spectrum between adrenal overdrive and adrenal fatigue. You’re having trouble falling asleep even when you’re tired (“tired and wired”) ; after sleep, you are still tired. You get irritable, frustrated and/or angry quickly or more often than you want to. You get tired around 3-4 most afternoons, and that’s when you really want something sweet or some extra caffeine (“thank you Starbuck’s happy hour!”). You’ve been gaining weight, most noticeably a spare tire or muffin top around your middle. 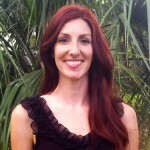 Your hormones are all over the place- you’re having fertility problems, your period is off, and your libido?… what libido? You’re memory and focus are not what you think they should be. Your digestive system is a mess- even when you try to eat the right foods. It would be so easy to just be able to say “limit stress”. But much of the time, more is needed… much more. In order to help your adrenal glands and the stress response, you will need to change what you eat. First things first- take out “quick sugar foods” and replace them with longer lasting carbohydrates like root vegetables and squashes. Pair a root vegetable or squash with a protein and healthy fat at each meal. At breakfast for example, you are not having a bowl of cereal, you will want to try an egg with a sweet potato and coconut oil. For lunch, a nice warm veggie bowl of chic peas, carrots, onions, broccoli and zucchini. For dinner salmon, asparagus and acorn squash. Immediately lowering your caffeine intake will also help. Tea has a lower caffeine amount; maybe you can switch to decaf coffee or herbal teas. Or better yet, warm water with lemon and ginger will also get you going in the morning. 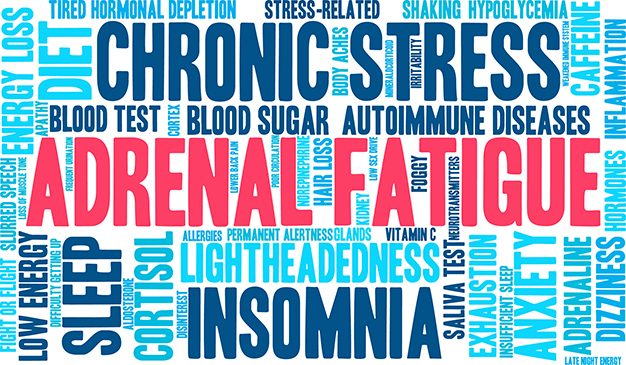 Acupuncture, Chinese Herbs and Adrenal Fatigue – It is well documented the role acupuncture and Chinese herbal medicine play in controlling and reversing adrenal fatigue. Adaptogenic herbs can work wonders in very little time – Ashwagandha, Rhodiola, Holy Basil, and Eleuthero are a few. Calcium, magnesium, vitamin C, and vitamin D are especially important in nourishing adrenal fatigue. Acupuncture points can regulate the adrenal glands to rebalance the amount of cortisol released throughout the day. With the help of Amy’s nutritional protocols, a few acupuncture treatments plus an appropriate Chinese herbal formula you can regain control of your life. At our Margate clinic, we use a simple saliva test to measure your cortisol and other hormone levels throughout the day. With this information we can target the root cause of your adrenal fatigue, pinpoint what phase of adrenal fatigue you are in, then develop a treatment plan that will address all of your symptoms. We have helped many patients with this condition and we are confident that we can help you too. 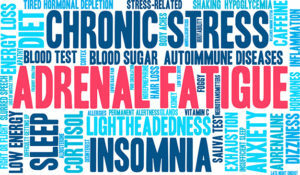 Learn more on how acupuncture works for Adrenal Fatigue or call us for a free consultation today.